UNU-WIDER and Trinity College Dublin co-organize a policy seminar on the new book ‘Made in Africa: Learning to Compete in Industry’, on Africa Day, 25 May 2016, at Trinity College, Dublin. The launch brings together development experts, academics, NGOs, and the Irish media to discuss Africa's industrialization challenges and possible strategies for accelerating the process. At the event, Professor Carol Newman (Trinity College Dublin), Professor Finn Tarp (Director of UNU-WIDER) discuss the findings of UNU-WIDER's Learning to Compete (L2C) research program investigating the seemingly simple, but frustratingly puzzling question: Why is there so little industry in Africa? The book will be launched by Kevin Dowling, Director for Southern Africa with the Irish Department of Foreign Affairs. 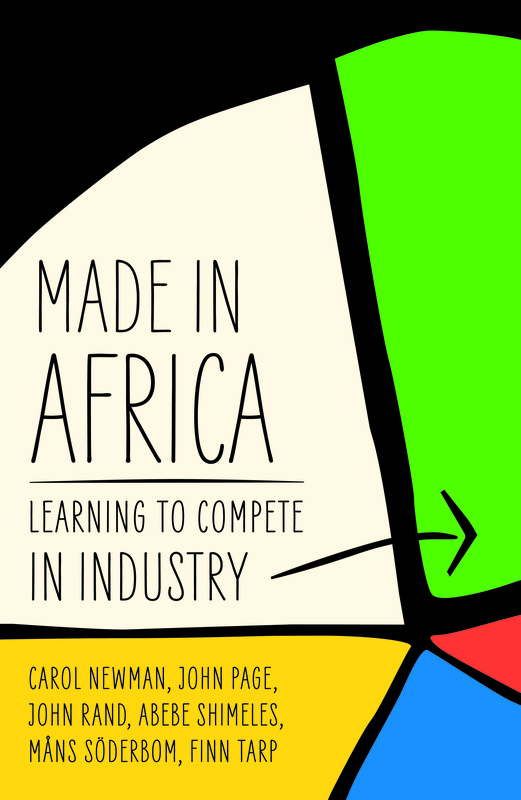 Made in Africa: Learning to Compete in Industry is written by academics from UNU-WIDER, Brookings Institution, the African Development Bank, the University of Copenhagen and the University of Gothenburg. It presents the key results of Learning to Compete (L2C), a multi-year, comparative research program investigating the seemingly simple, but frustratingly puzzling question: Why is there so little industry in Africa? While Asia has enjoyed explosive growth in the last few decades, Africa, by comparison, stands out as the least industrialised region in the developing world. This is despite the fact that most Asian economies began their industrialisation processes with initial conditions similar to many African countries. The authors of a new book show how the slow pace of Africa’s industrialisation is responsible for the region’s poor performance in translating growth into quality jobs and poverty reduction. The authors also propose a new strategy for Africa to get its fair share of the global market and compete effectively. While traditional concerns such as better skills, improved infrastructure and regulatory reforms are important, they alone will not be sufficient for Africa to industrialise. For Africa to be able to compete, policies to promote exports, build the capabilities of domestic firms and foster industrial clusters will be needed.